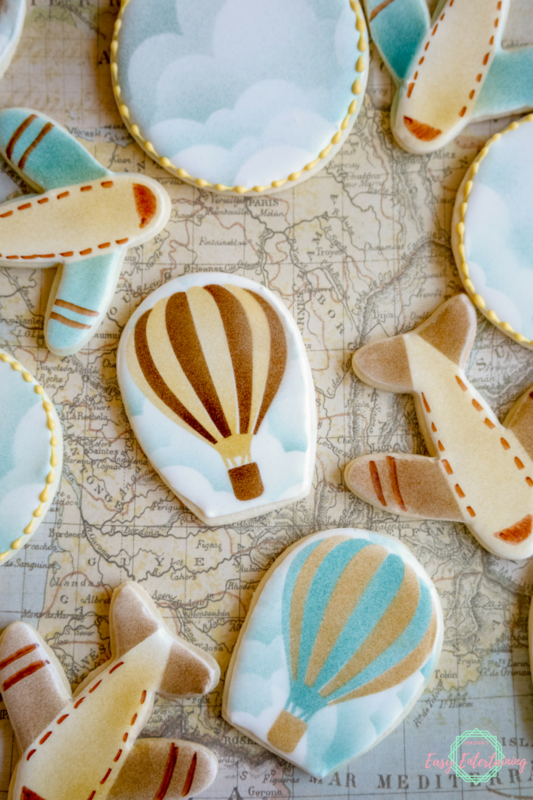 These travel themed sugar cookies are perfect for welcoming a new adventure! 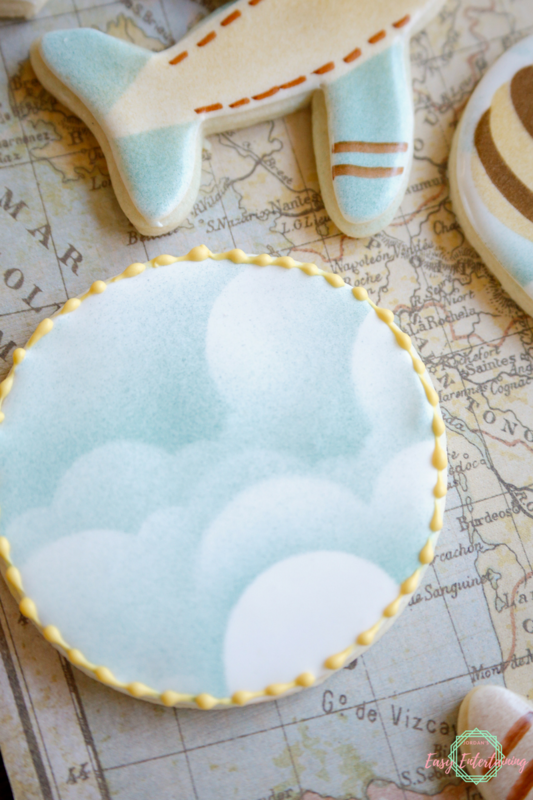 These travel themed sugar cookies are brought to you as part of a virtual baby shower for our friend Sarina over at Joy in the Commonplace. If you're stopping by from Halfpint Design, I'm sure you loved her beautiful hot air balloon baby shower favor. Sarina is expecting a little boy and is planning on decorating the nursery with a fun travel theme which of course inspired the theme for this baby shower. 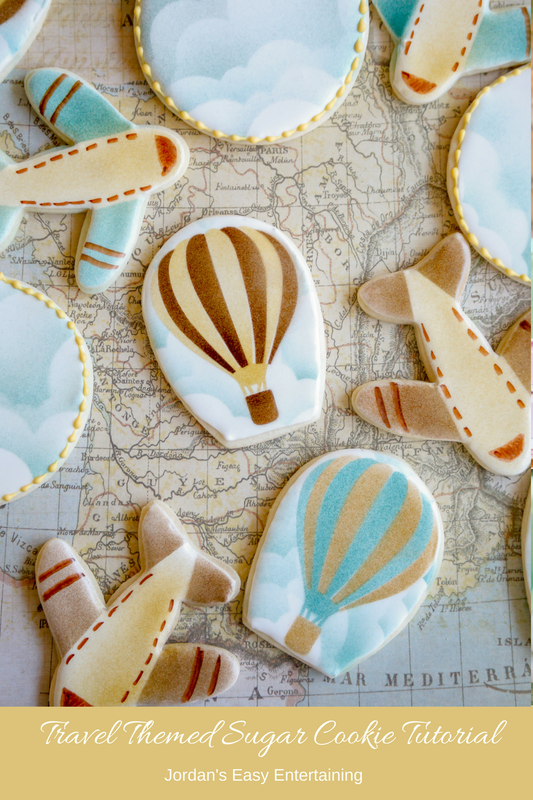 Can't you picture an adorable nursery decorated with airplanes, hot air balloon and fluffy clouds? 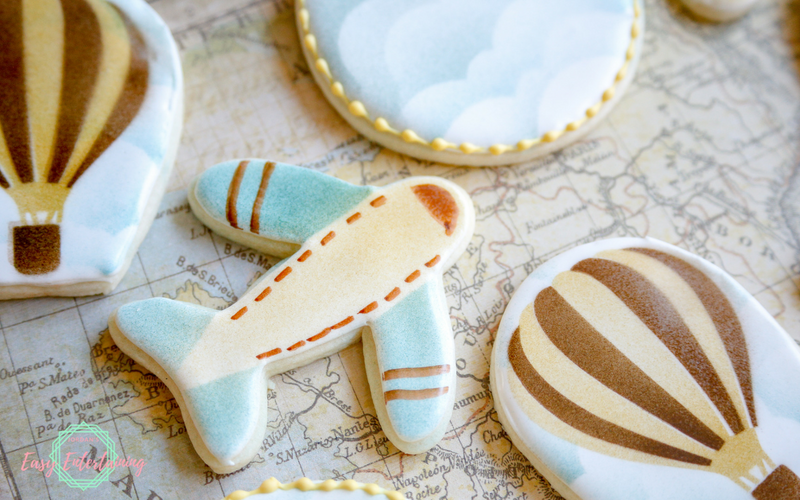 Anyway, sticking with the theme, I decided to make these travel themed sugar cookies as my baby shower gift. Okay, so I know that seems like a lot of supplies, but that's mainly because we are making 3 different cookie designs and I included the list make your own stencils (which is what I did.) If you're going to attempt this cookie design, I'm going to assume you're familiar with decorating with royal icing. I flooded each cookie shape with plain white icing and let it dry over night before really decorating these cookies with my airbrush. 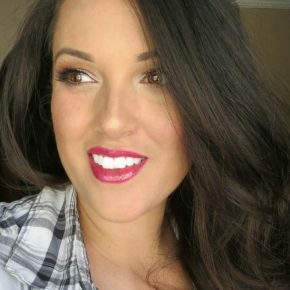 If you are unfamiliar with this technique, Sweet Sugar Belle has some really great tutorials, but I'll be posting my own very soon. Let's start with the cloud cookies! 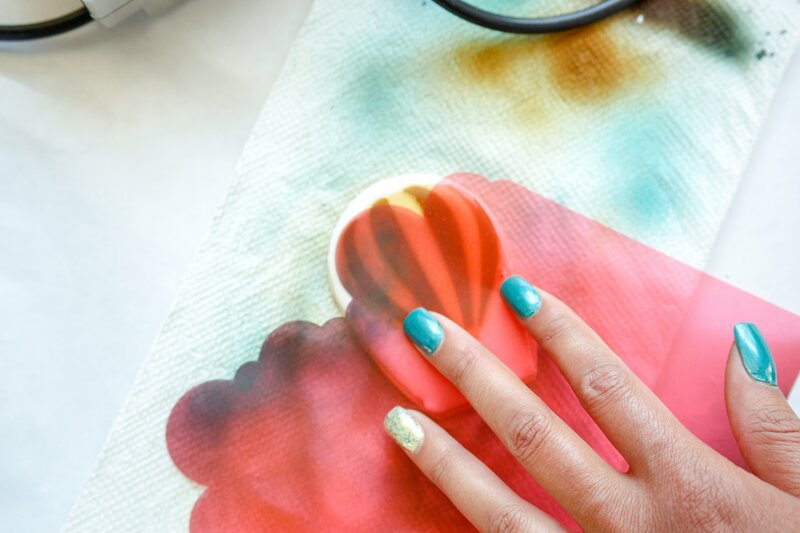 Grab your cloud stencil and your airbrush. 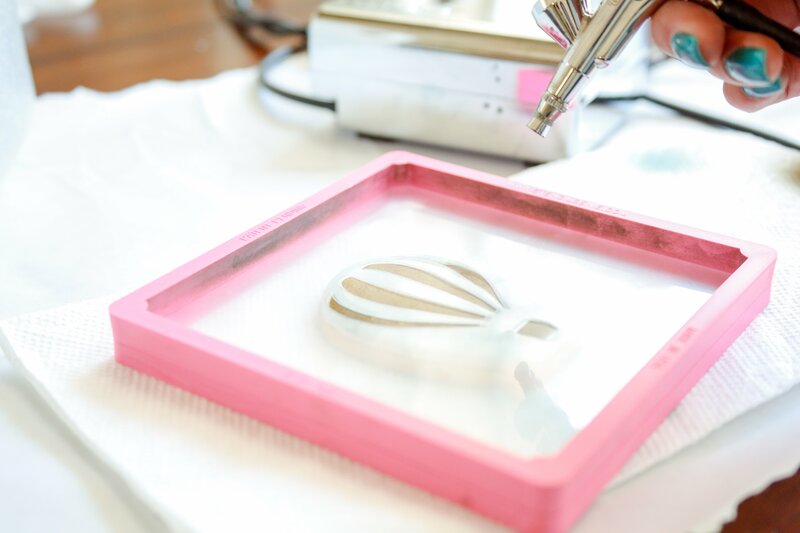 Starting at the top of the cookie and using the lowest setting on your machine, gently airbrush right at the stencil's using while holding the nozzle perpendicular to your surface. Then move your stencil down a few centimeters and airbrush another layer. They are just so easy, it's not even funny. I usually do 4-6 layers of clouds. 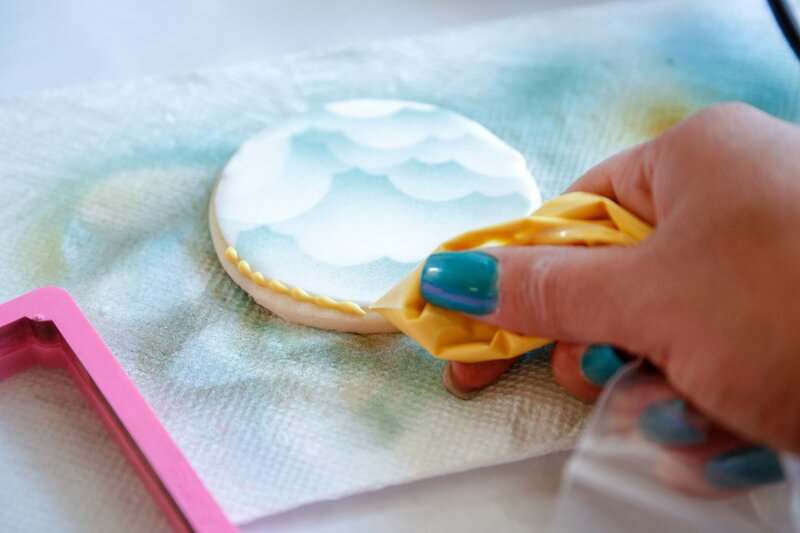 This is the same cloud stencil that I used for my Unicorn cookies. There is a video in that post if you'd like see using the airbrush and stencils in action. But, I'll also be updated this post with it's video shortly if you'd like to come back for that. Now, you're cookie could be done there, but..... I feel like round cookies should have a border. 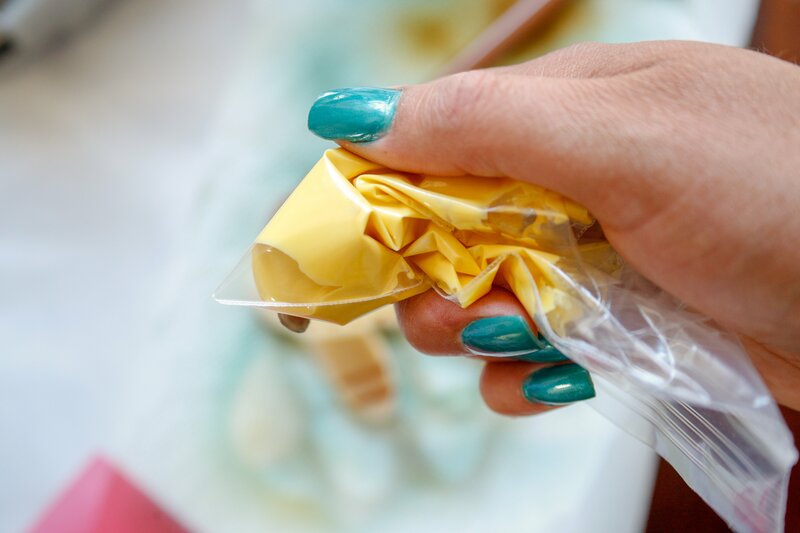 I decided to use a muted yellow royal icing, and placed it into a sandwich bag with just the tip of a corner snipped off. Then I piped beads around the edges. Okay, NOW those cloud cookies are done! Moving along to the hot air balloons. There are two stencils that I made with my Cricut Maker to create the hot air balloons and they line up perfectly. (Just one of the many, many, many reasons I love my Cricut Maker so much... 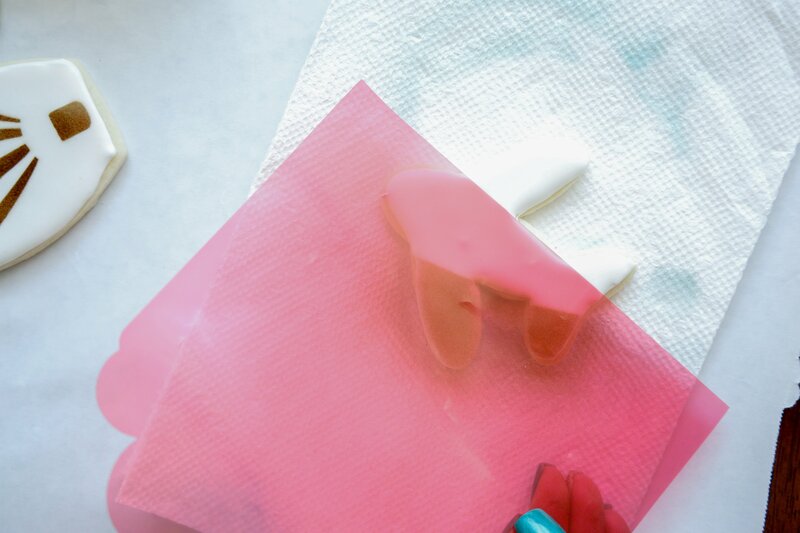 I can create a stencil for virtually any shape in any size that I need for decorating a cookie in a matter of minutes!) It really doesn't matter which stencil you start with, or with color, since they colors will not overlap. As you can see in the picture about, this time I'm using a stencil genie with the stencil. I find this really helps with getting a nice crisp design because the stencil genie will hold your stencil in place. 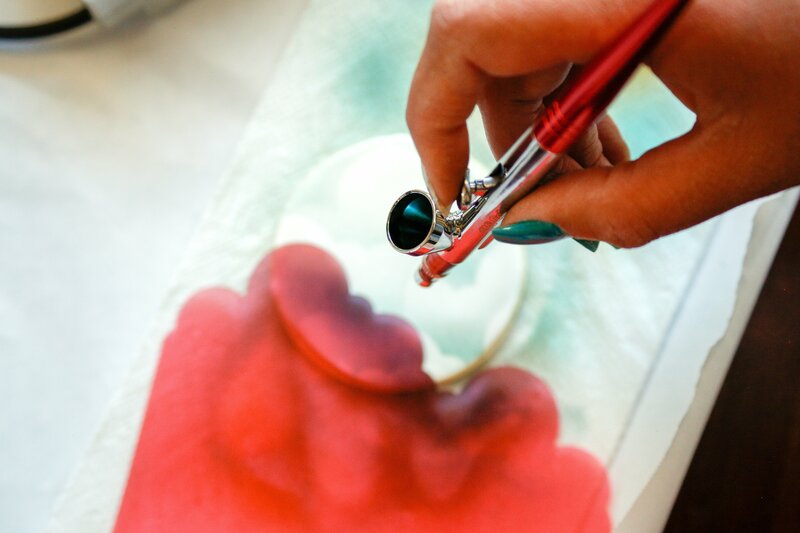 The air from an airbrush will blow your stencil away if you're not holding it or it's weighted down in some way. Anyway.... once the first part of the hot air balloon is stenciled on, move on to the second stencil with a different color....kind of. You'll probably be making a set of cookies and want the cookies to all match. 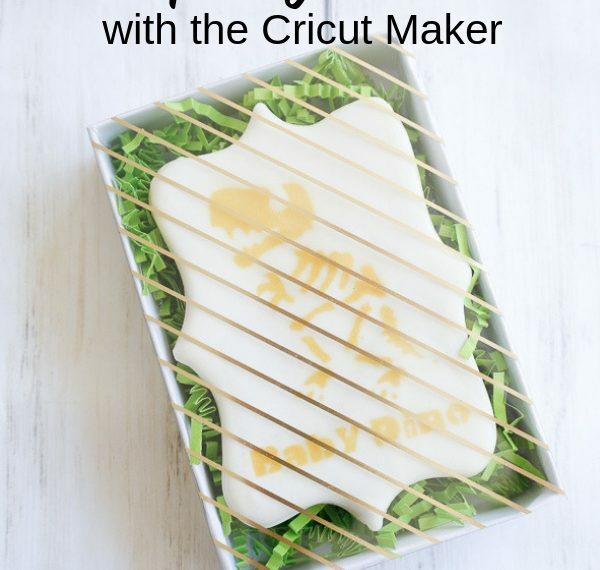 So, while your food coloring is still in the airbrush, switch cookies and stencils until you've used all of the same color you're working on. Now that the hot air balloon is all put together, grab the cloud stencil again. 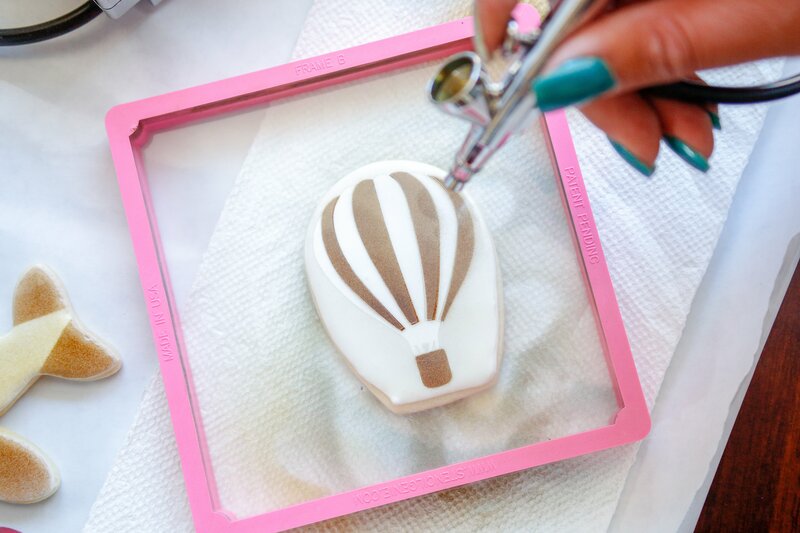 Carefully place your cloud stencil so that most of the hot air balloon is covered while you spray the background. I found this pretty easy to do, and even though you can spray on the clouds first, they'll show through at least a little bit. Moving on - the air planes. You'll notice all of the bodies of my air planes have light colors. I sprayed muted yellow right down the centers. Then I used the straight edge of my cloud stencil to add the wings and tails in darker colors. 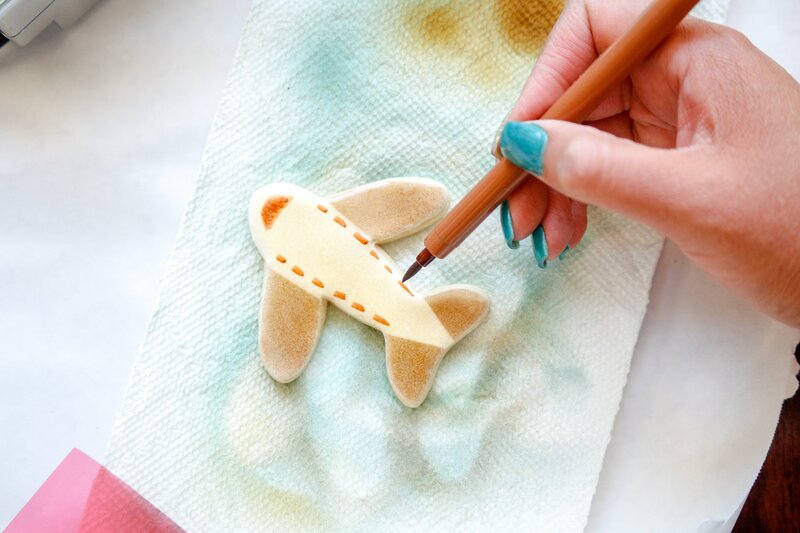 To add the little details of a windshield, windows, and wing stripes, I used an edible marker - one of my favorite sugar cookie decorating tools. ANNNNNND these cookies are finished! Did you like this tutorial? 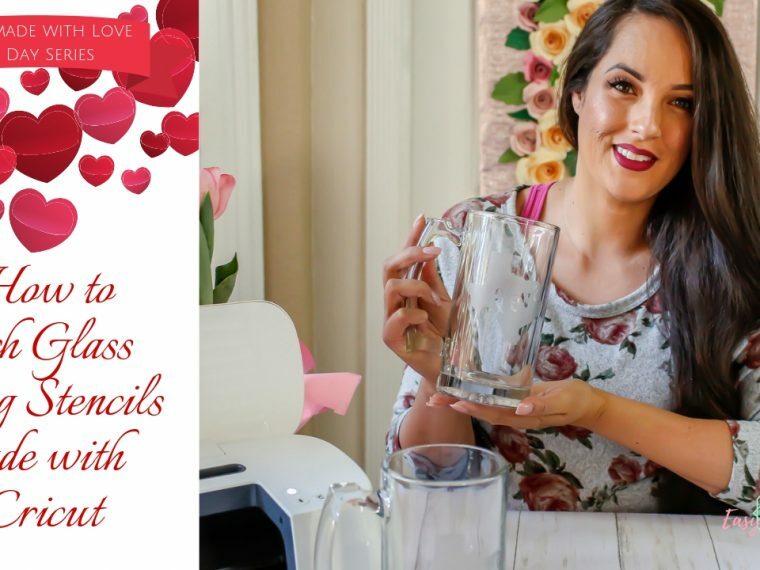 Sign up for my email list for exclusive content, freedbies, and more fun posts like this! 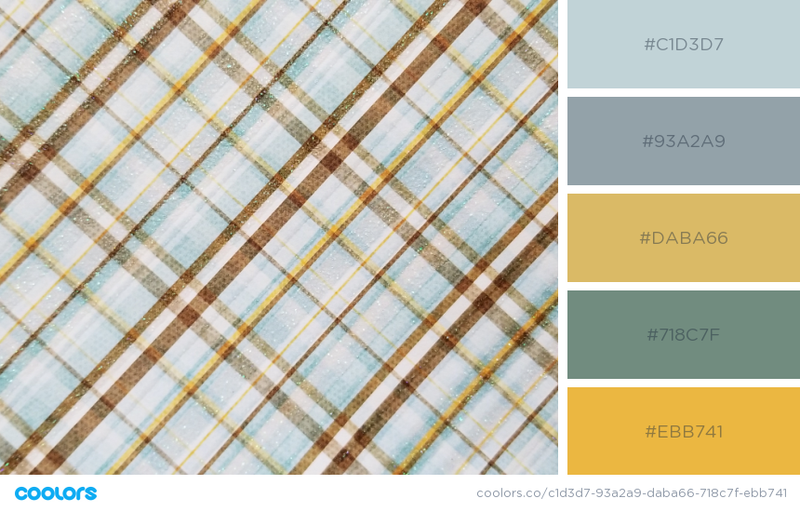 To get as close as I could to these colors, I had to mix my food colors together. To get my colors to be a little muted, I made sure to use the brown food coloring first and I just didn't clean out the colors in between. But to keep my blue consistent, I mixed one drop of brown with four drops of light blue straight into the airbrush cup. To make sure they were mixed properly, I used a latex glove to hold against the nozzle while I gently pulled back on the trigger. Trust me, use the glove.... that food coloring will stain your fingers for days. I'm really happy with how this set of cookies turned out. They're packaged up and going out to Sarina and her family later today. 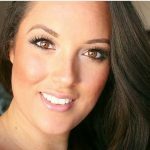 Make sure to stop by her blog and give some well wished for her new baby. 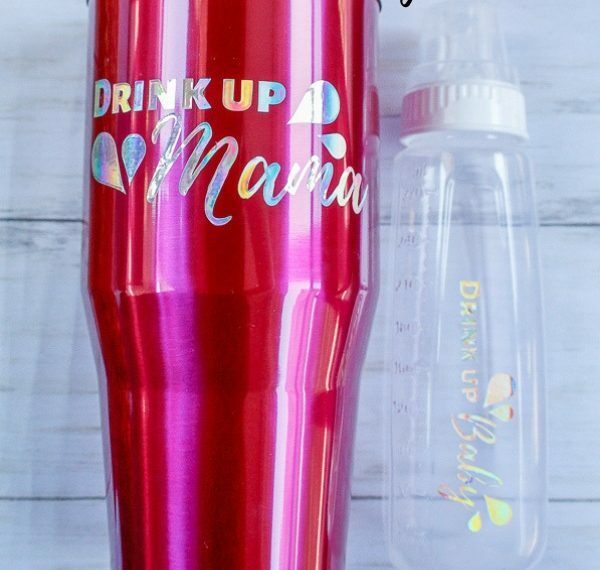 Don't forget to stop by the other blogs to see more fun travel themed baby shower ideas. 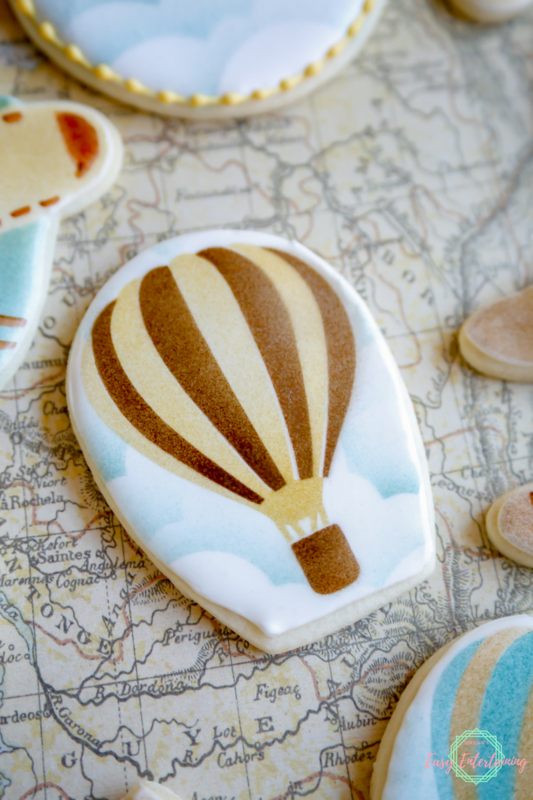 That's it for these travel themed sugar cookies! Until next time! p.s. 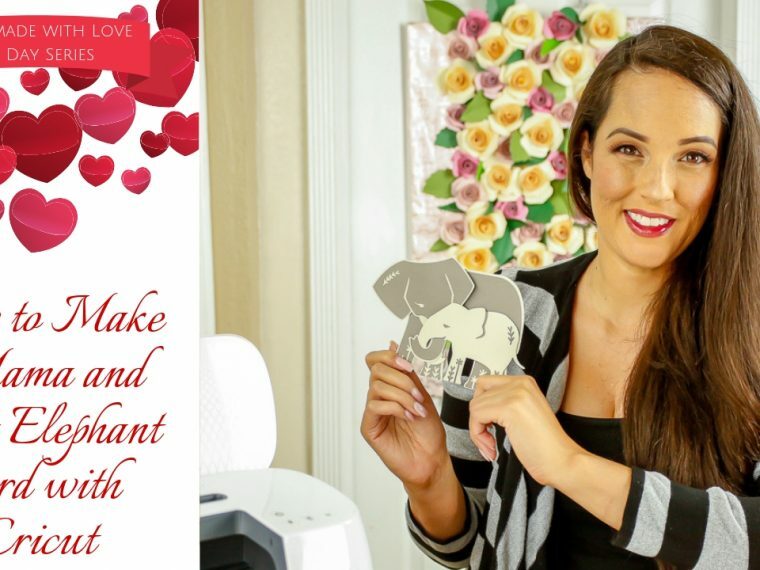 I'll be sharing a tutorial soon on exactly how I make my stencils using my Cricut Maker. I love these!! They turned out so cute. This was such a great baby shower and I had so much fun. Thank you for spearheading it all. I love these Jordan!! 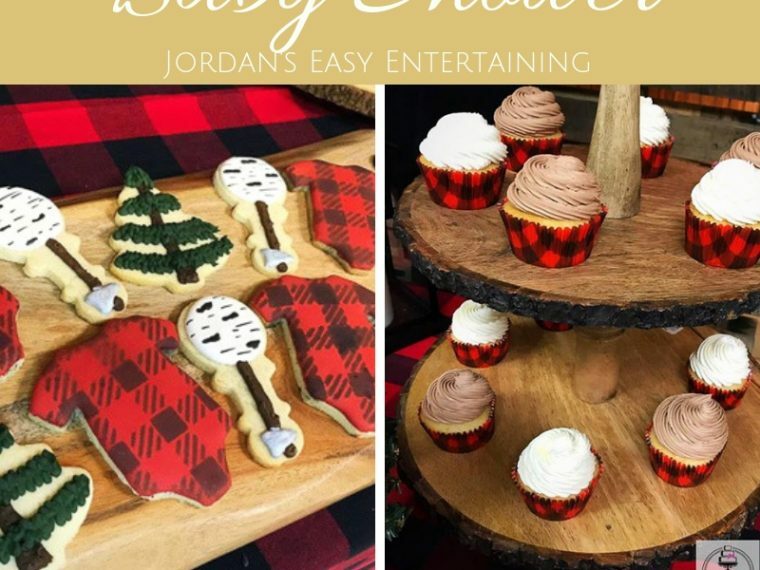 The detail on these cookies is just great and they look too good to eat!! I cannot wait to receive these in the mail.. Thanks so much friend! I feel loved. I am seriously dazzled Jordan! These are amazing and I want all the things to make these now lol. Thanks for asking me to take part in this celebration!